Previously you could only schedule an import once a day. This meant some users were having to create clones of existing imports to achieve multi-day imports. Now you can schedule the import to occur several times a day (E.g. once an hour). 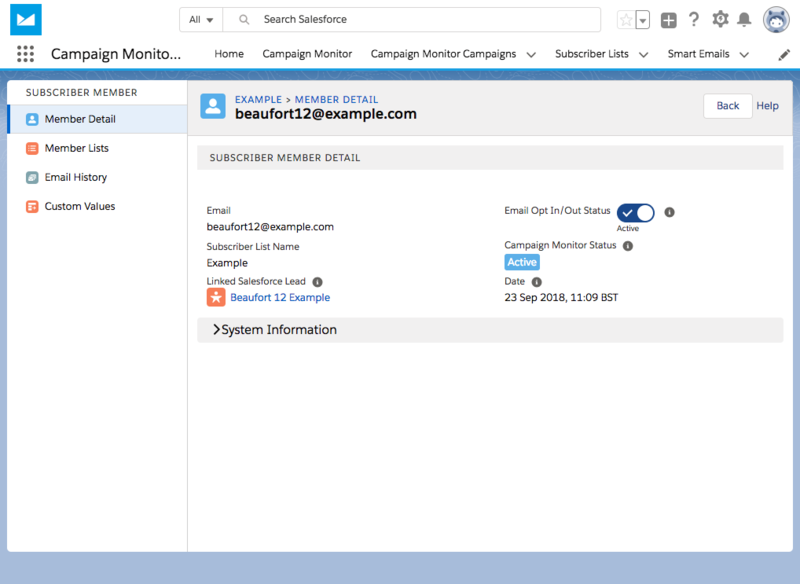 This provides a semi-live update experience and is now the recommended approach for loading Salesforce data into Campaign Monitor (we will also continue to support Automatic Subscription rules). The import wizard is easy to use - simply create a report or list view and use the import wizard to pass Salesforce information over to Campaign Monitor. 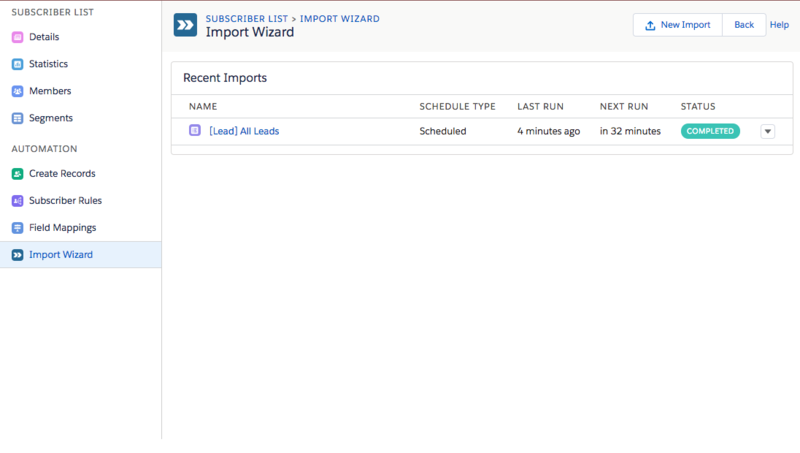 You can now choose to replace entire Campaign Monitor subscriber lists via the import wizard. Previously the only option was to add new subscribers to a list. The replace feature will replace all the members on the entire subscriber list. It will remove (i.e. set the status to Deleted) subscribers from the Campaign Monitor list that were not in the import (i.e. the Salesforce report or list view used to drive the import). This is a powerful feature - be careful not to delete your subscriber lists by using an empty report or list view! 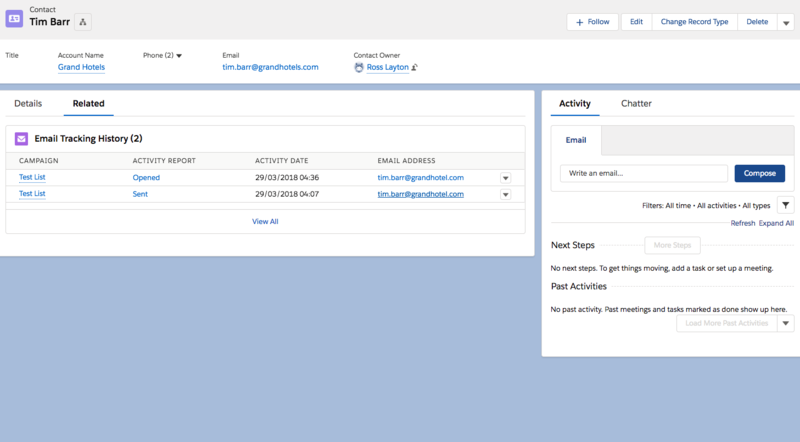 This has been a long sought-after feature - the ability to view email tracking history from emails that were sent as part of a Campaign Monitor automated journey. Whilst the journey information is visible in Salesforce, the data is not stored in Salesforce and will not use up Salesforce space, nor will it be available to use with Salesforce reports etc. The Subscriber List and Member areas have been completely refreshed. The subscriber lists have been cleaned up and are easy to navigate around. There is a new subscriber membership support page to make it easier to find members on a list. The subscriber membership section now shows custom values stored alongside the subscriber in Campaign Monitor (these values can be used to personalise emails, drive segments and journeys). We’ve also made improvements in managing email opt-out/in. The new subscriber management screens now work better with Lightning. The design is now consistent across both Salesforce Classic and Lightning. Some navigational problems with Lightning have also been resolved. Several areas have been improved around bulk processing records in Salesforce. The main improvements have been around reducing the number of background jobs running where there are multiple rules and process builder actions. We've also reduced the likelihood of aoccurring.